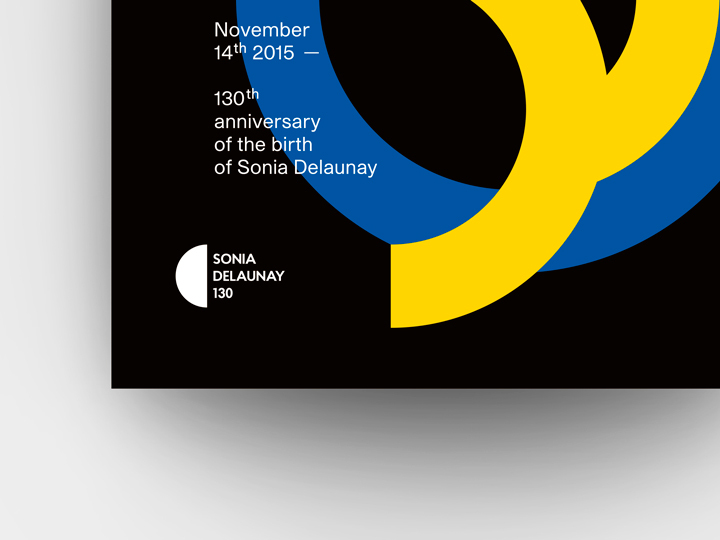 November 14th 2015 was the 130th anniversary of birth of Sonia Delaunay, a world-famous Art Deco artist. Sonia was born and spent her childhood in Ukraine. She often admitted that her love for bright colors rooted in the memories of childhood, including images of traditional Ukrainian weddings. 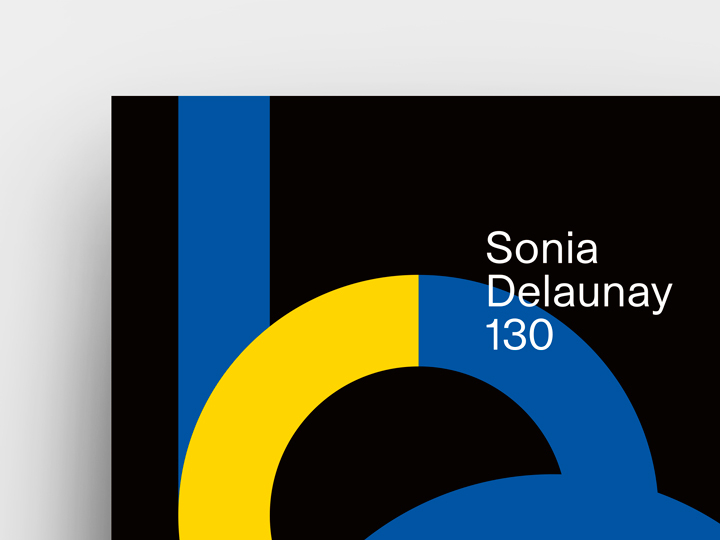 4th Block, a Ukrainian organisation of graphic designers, has invited designers from all over the world to take part in a poster campaign devoted to the anniversary and to Sonia Delaunay’s contribution to the world’s art and design. 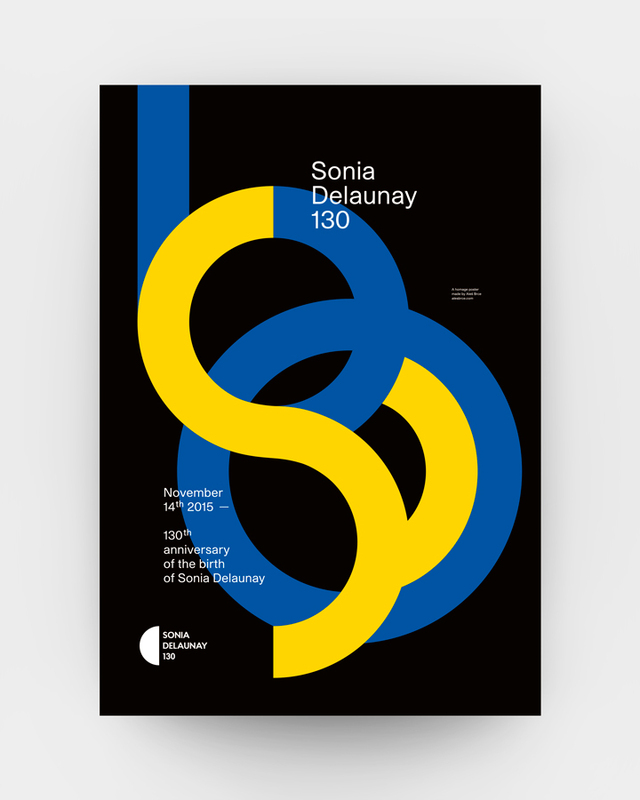 The poster that I made and that was selected by the organising committee to be exhibited in Kharkiv and Kyiv is based on strongly geometrical rounded forms (typical in Sonia’s designs) that compose — from a ‘lettering point of viewing’ — the letters S and D (the initials of the name and of the surname of Sonia Delaunay), that are yellow, and the anniversary 130 number, which is blue. They melt themselves together in a geometric vortex inspired by Sonia’s Art Deco creations. 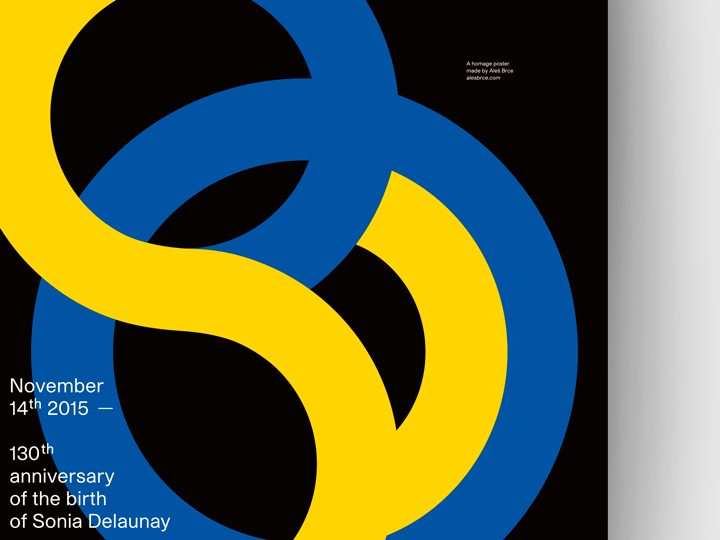 The colors used are those of the Ukrainian flag.